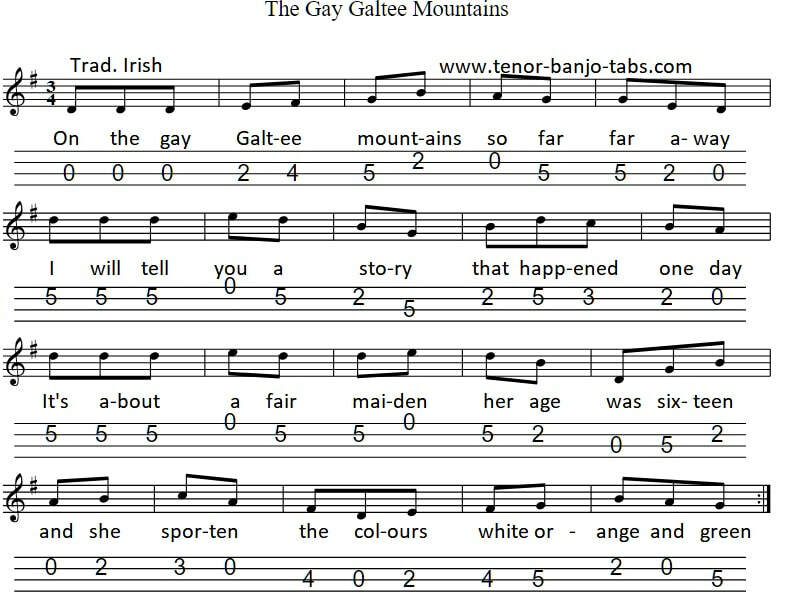 The Gay Galtee Mountains is a traditional Irish rebel / folk song. It was sang and recorded by most of the ballad singers in Ireland from the 1960's onwards. The tab here is in the key of G.